While attending law school, Ms. Santamaria served as an Articles & Symposia Editor for the Stetson Law Review and as a member of the Moot Court Board. Ms. Santamaria competed in the 2015 E. Earle Zehmer Workers’ Compensation National Moot Court Competition, where her team won the Best Brief Award and Ms. Santamaria won the National Association of Workers’ Compensation Judiciary Best Professional Advocate Award. Ms. Santamaria also competed in the Phillip C. Jessup International Moot Court Competition, where she won 7th Best Oralist in the Southern Regional. In addition, Ms. Santamaria worked as a teaching assistant for Legal Research & Writing. Ms. Santamaria received high grade awards in Legal Research & Writing I and II. 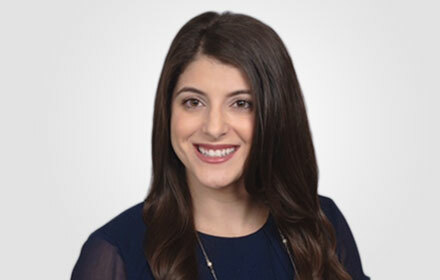 Prior to joining the firm, Ms. Santamaria served as a federal judicial intern for the Honorable Anthony E. Porcelli of the U.S. District Court for the Middle District of Florida.